Dr. DiDomenico is a Senior Biomechanist and Certified Professional Ergonomist at ARCCA specializing in the study of human factors, forces and mechanics associated with human injury. 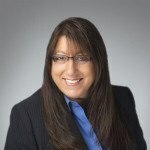 In addition to her work related to slips and falls, Angela has extensive experience related to construction safety (including the New York Labor Laws), distracted walking, gait analysis, slip resistance testing, assessment of physical and mental workload, and effects of dual-tasking on performance. She is also involved in accident and mishap investigation involving workplace injuries, ladder safety, falls from scaffolding and the biomechanics of injury. Her work includes site and equipment inspections, applicable code compliance, testing, injury causation and tolerance analysis. Angela earned a PhD and an M.S. in Industrial and Systems Engineering with an emphasis on Human Factors Engineering from Virginia Polytechnic Institute and State University. She also has an M.S. in Mathematics from Virginia Polytechnic and a B.A. in Mathematics from the University of Connecticut.